How important is proper breathing techniques in yoga class? If you have ever gone to a yoga class you no doubly heard the teacher say “do not focus on anything else by the breath”. When I first started practicing focusing on my breath was the last thing I was doing while holding my body in downward dog for five minutes. Of course my arms start to shake and eventually give out because my mind is focused on how I'm going to fall down in a minute. Pranayama, a common word in yoga, which means to practice control of the breath. Breathwork means to conscience of taking in and releasing oxygen to the lungs. So why is it that we should focus on our breath? Well is obvious we need to breath in oxygen to live. We can go days without water or food but only seconds without oxygen. Breathing is a way to supply our body and organs with oxygen. And breathing is a great way to get rid of toxins from our bodies by purifying the blood stream. Is it better to breathe through your mouth or nose? I personally found is easier to breath through my mouth- are you the same way? So why is that we are often told to breath through our noses? Unlike your mouth, your nose filters in the air before in enters your body. With all the pollutants in the air you understand why this is important. Your nose is also responsible for heating up the air before it enters you body. This is great in the winter! Start by taking a breath in and then release. How did that feel? Nothing special? Ok try it again but this time take a deep breath until your lungs completely fill up and you feel your belly start to rise. Then slowly release it. You will find it gives me a calming effect because it's calming your nervous system. Try it again and you’ll experience an easy way to reduce stress. How proper breathing techniques will lead to stress reduction. Since one of the main reasons I attend yoga class is to eliminate stress from my every day life, you are probably a high achiever and goal setter too that is constantly balancing work, life and play. By reducing stress in your life you are able to become more focus on the things that are important, such as your health. 1. At your desk just after your boss hands you another assignment on an already busy day. Sit up straight and close your eyes (if you can, it depends if your desk area is exposed, you don’t want to freak out your neighbour) or stare straight ahead and take in a BIG HUGE lung filling breath. Just focus on your breathwork, not how late you’re going to get stuck at the office. And do it again and again. You should start to feel an instant calming affect. It will also quiet your mind from running through a million different thoughts. 2. You’re in bed and you cannot sleep. You cannot stop thinking about your big day tomorrow or that list of things to do. You run through everything in your head over and over again. Your body wants to fall asleep but your mind won’t let it. This is what you do: just lie on your back and spread your arms and legs out (somewhat of a starfish). Close your eyes and take a BIG breath to fill your lungs and hold it for a minute and then release. Do it again, and again. Once again this is a mind quieting exercise and therefore your body will start to relax. Hopefully your eyes will begin to close soon. I want to thank ABC of Yoga for all this wonderful information which inspired me to write this post. This is a great website to anyone that’s interested in learning more about proper breathing techniques and yoga. 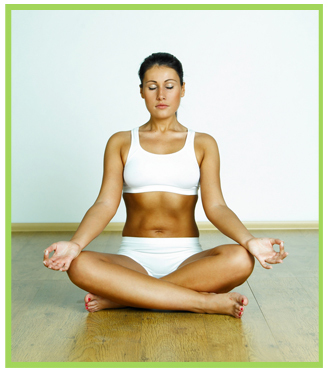 Click here to learn more about hot yoga.